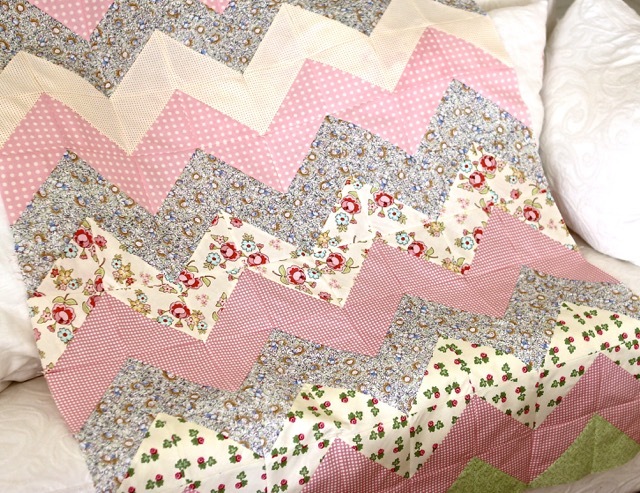 Baby girl quilt top : size 47 inches / 34 inches. For this project I selected 7 different fabrics. 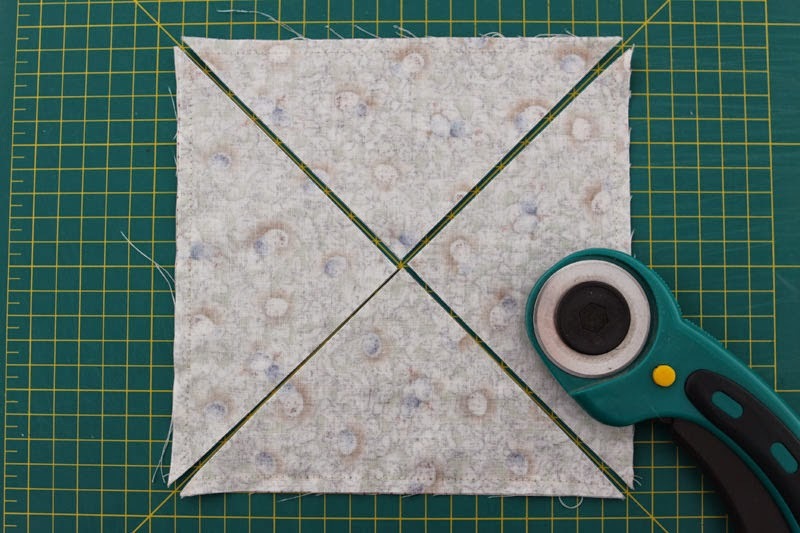 Fold your fabrics in two and cut bands of 7 inches width. Put 4 bands over each other and cut squares of 7/7 inches. 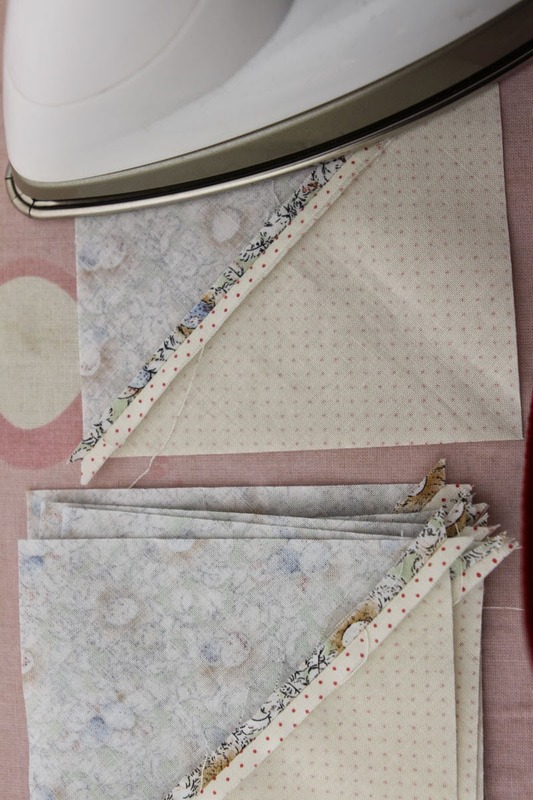 With each pair, put both fabrics right side against right side, and sew all along the 4 sides. Pair of squares sewn all around. Cut the 2 diagonals and you obtain 4 double triangle squares. the fabric, as you will now assemble your blocks along the bias sides. If you like you can spray starch to stabilize your fabrics. I didn't and had no problem, as I was careful with the ironing. 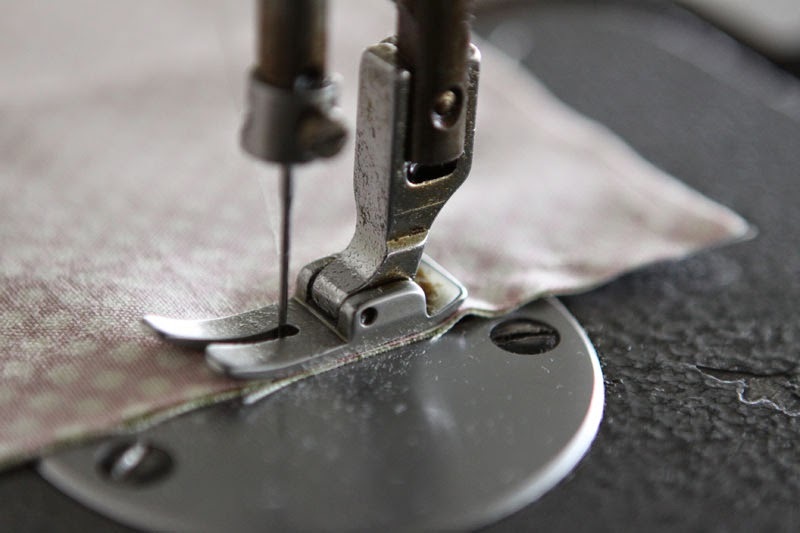 Always open and press hot after each sewing. 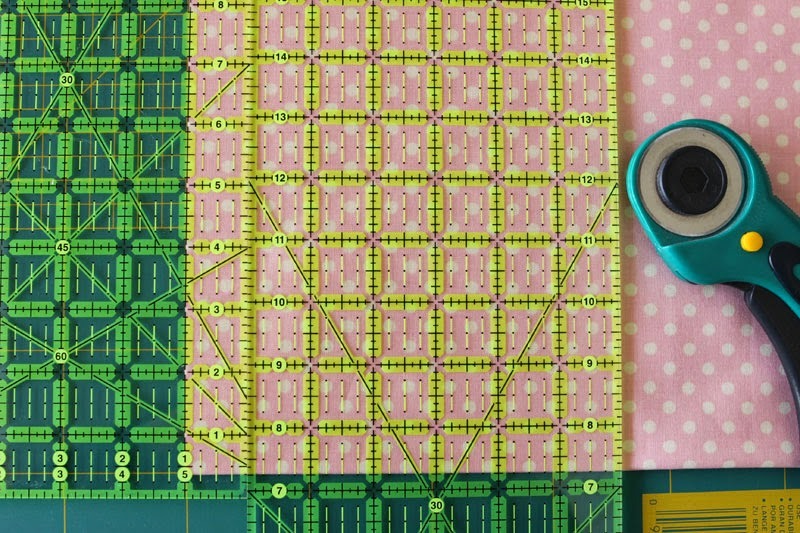 to avoid stretching the fabric by sewing long rows together. Go on assembling the rest of your blocks as shown. Hello Christine, this is beautiful, my name is Mara and I live in Greece also! 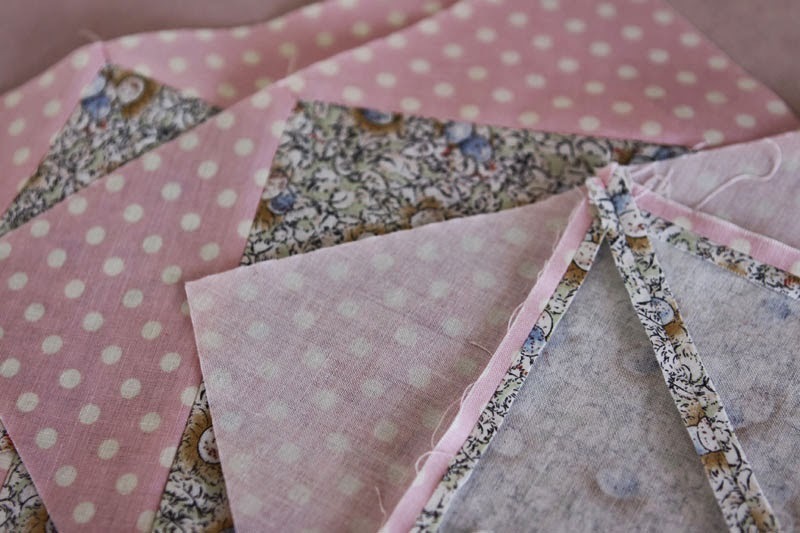 I have been doing the 2 squares together to make pinwheels, very fun. Christine, beautiful quilt. My name is also Christine and I live in Texas. Thanks for sharing. Your colors are really pretty. I like the chevron pattern with HST's. Found you on Show Off Saturday Linky! Thanks live canada, yes as of said. You made look easy. Questions, is the scim of 1/4 seam. I love the colors that you chose. It is very beautiful! 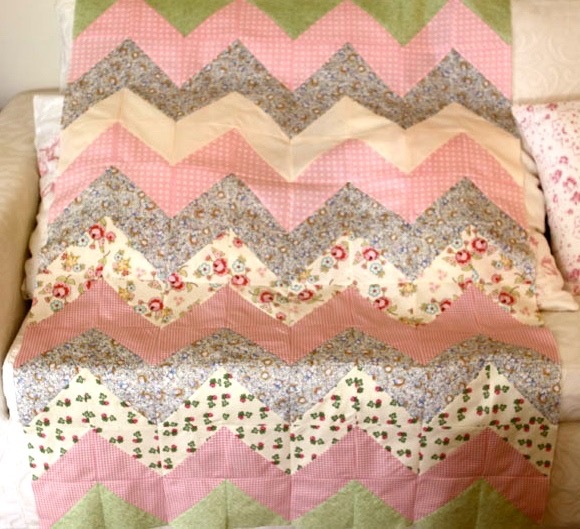 Very pretty chevron quilt. I love the color combination. Very nice! love the colors. Nice job. This is a really great tutorial, Christine. I have to try that method for my next hst project. You did a wonderful job of explaining the how to's and the why's. And I learned a new word! Evitate. Thank you for sharing! Wow, I love the soft pastel colors you choose. It is beautiful! Plus I enjoyed your tutorial. 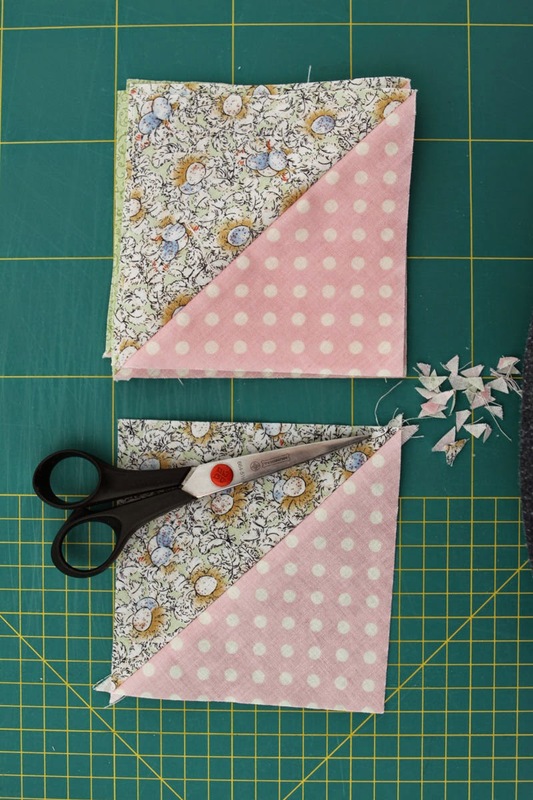 So many great things you can do with HSTs! NICE! Did I miss fabric yardage required? Thank you Linda! I did'nt calculate any yardage but I think that 1/4 yard per color is ok. 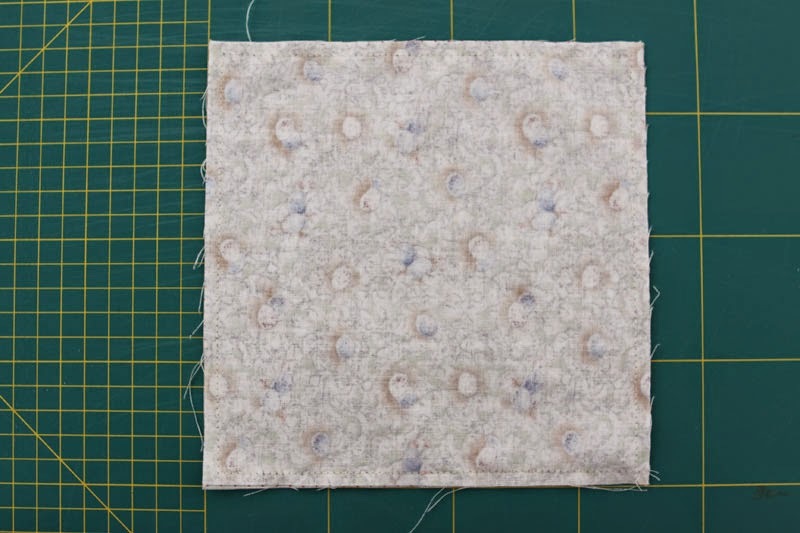 Excellent tutorial, and I love the fabrics you used. They are so soft and baby-like. This is a beautiful quilt. It is just the right project for a friend who is expecting a baby girl near Valentine's Day. Can you tell me approximately how much fabric I would need of each of the colors? Oh Misty I am so sorry I cannot be of a great help to you as I never mesure my fabrics. 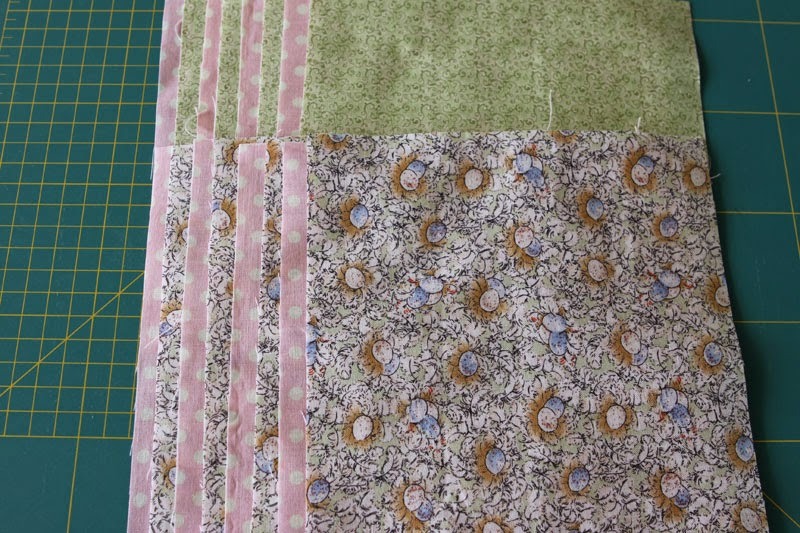 I just cut what I have in the stash and keep the leftovers for a future scrap quilt. If you have to buy yardage, I would say 1/4" of each color. Thank you, Christine! I will buy some extra! I may go today! 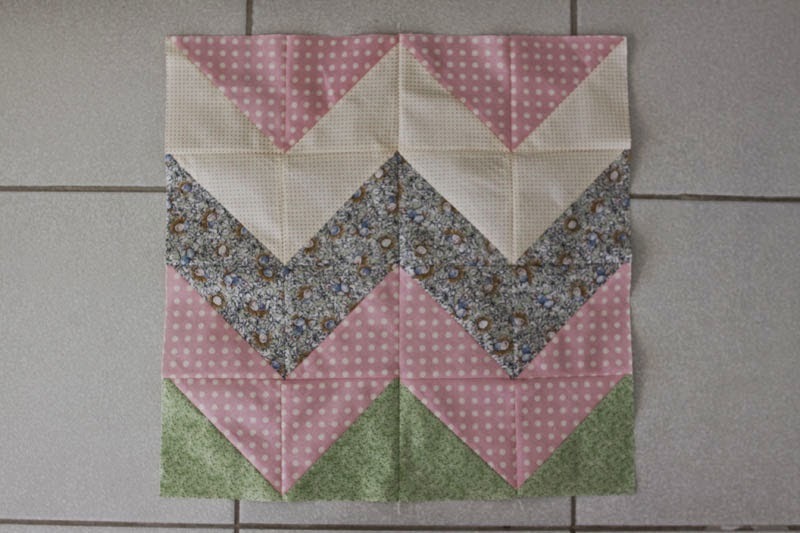 I am hoping on doing this for my baby's quilt to go with her chevron nursery! 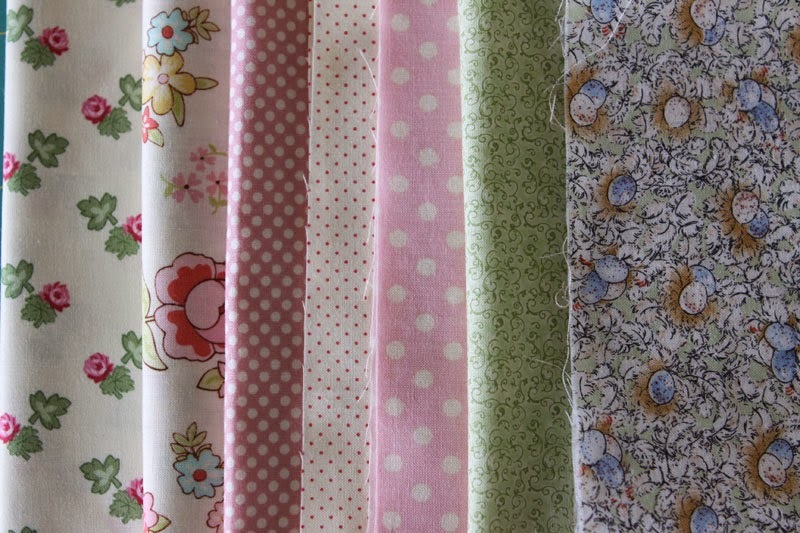 Question: Do you prewash your fabric before you cut and assemble? I love the chevron pattern. I bought fabric that was printed chevron, but that is so intensive to match. So, I'm planning on doing the style that you have demonstrated. I think it is beautiful. 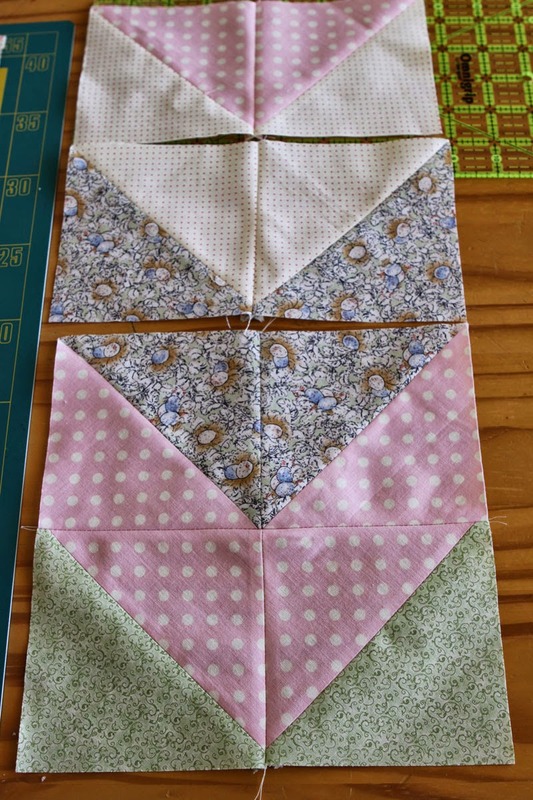 I might make it wider, though, for a large baby girl. How much of each fabric do you need to complete a blanket of this size? Good Morning Sara, thank you for your comment. You are no-reply blogger so I cannot answer to you personally. Read the reply I did to Misty. Best regards. Thank you Patricia for your kind comment, I wish you good luck for your chevron quilt and I am happy I was of inspiration to you! This absolutely gorgeous! I am wondering, is this a 1/4 seam on prewashed cloth?... I've got material handy to start this. Thanks Dana! Yes indeed it is a 1/4 seam on prewashed cloth. Hello. This looks so fun, and I have a coworker with a baby due in two months. I'm just a little confused on the final size. The blocks are 7x7 to begin with. After being sewn together with another color, cut into 4 triangles, sewn into blocks and then rows, the blocks should measure 6x6, correct? You have it set up as 4 blocks by 5.5, which would be 24x33 inches. I just want to make sure it's large enough in the end. 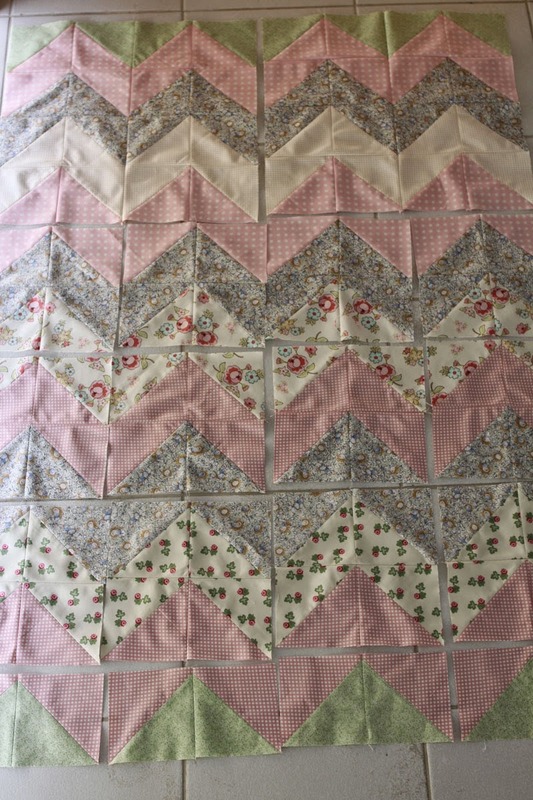 Hello Meghan, I just saw your comment but I am sorry I cannot be of help to you as I gave the quilt two years ago and cannot measure it for you. 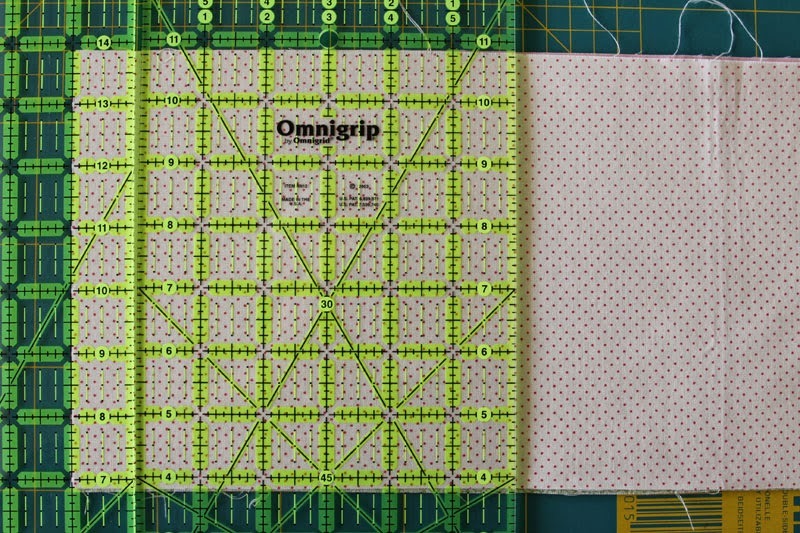 This tutorial was done just to show the zig-zag method. But at first sight your calculations seem ok.
Hi. Beautiful quilt. Is there a pdf version that can be printed? Thank you in advance for your help. I just downloaded the direction. Will start one this afternoon. Thanks, look easy.